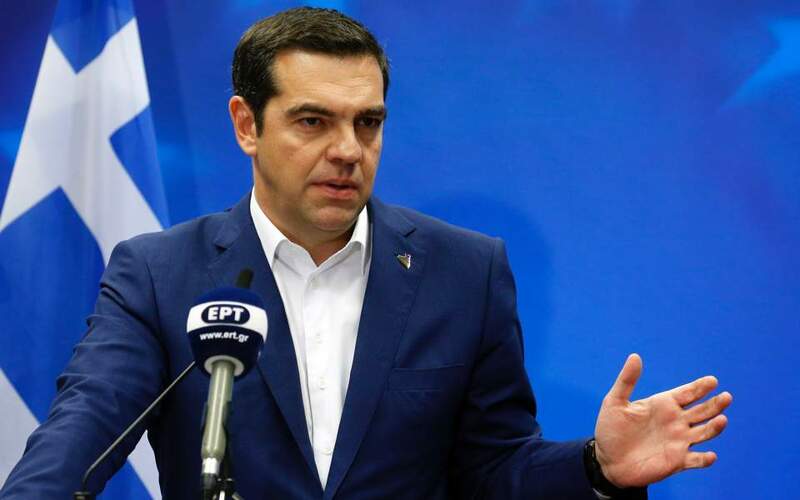 Addressing reporters in Brussels, where he was attending a European Union leaders’ summit, Tsipras thanked Kotzias for his “great work,” saying he had “raised the bar high for all of us.” He said he would continue to consult Kotzias for advice. Questioned by reporters about Kotzias’s call for his resignation letter to be made public, Tsipras refused to do so, noting that the letter was marked “strictly confidential.” The day before, questioned about the reasons for his departure, Kotzias said all the answers lay in his nine-page resignation letter which he called on Tsipras to make public. Tsipras and Kotzias are to meet in Athens on Saturday ahead of a handover ceremony that will see the PM officially assume the post of foreign minister. Tsipras’s high praise for Kotzias at the Brussels press conference appeared to be part of a strategy aimed at easing tensions in the government following a very acrimonious cabinet meeting on Tuesday that precipitated Kotzias’s departure. Kotzias was said to have clashed with Kammenos, who allegedly accused his fellow minister of mismanaging a secret fund at the Foreign Ministry. Tsipras faced widespread criticism for allowing Kotzias to depart and not ejecting Kammenos, who has opposed the government line on the Prespes name deal and proposed an alternative scenario during a recent visit to Washington.